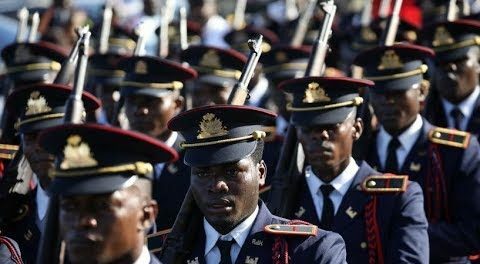 CAP-HAITIEN/PORT-AU-PRINCE (Reuters) – Haiti’s president on Saturday heralded the re-establishment of the country’s military after 22 years, a divisive issue in the impoverished Caribbean nation which has a history of bloody coups and political instability. The army’s comeback has been a divisive topic in a country still suffering from a catastrophic earthquake and a fierce hurricane in recent years, with critics and activists concerned that armed forces would meddle in politics and rob essential resources from education and health care. Haitian President Jovenel Moise on Thursday named former army colonel Jodel Lesage as acting commander-in-chief, moving troops closer to full operation. 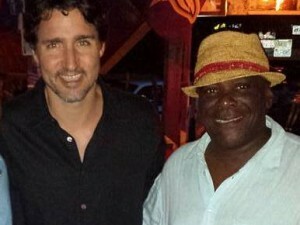 The appointment still needs to be approved by Haiti’s senate. 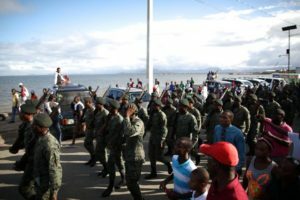 On Saturday, Moise welcomed the army’s anticipated return with a parade featuring dozens of camouflaged soldiers toting rifles in the northern coastal city of Cap-Haitien, calling on Haitians to recall the Battle of Vertieres won against French colonialists exactly 214 years ago. After Haiti’s independence, the military mounted dozens of coups and its forces were accused of rampant human rights abuses. A U.N.-backed mission to aid Haiti’s justice system and law enforcement arrived in October, replacing a much larger peacekeeping mission that had focused on stability efforts since 2004. “Having demonstrated its ability to maintain stability and guard against security threats, the HNP has emerged as one of the most trusted governmental institutions in Haiti,” U.N. spokeswoman Heather Nauert said in a statement last month. Government opponents fear the Moise administration could use the military to crack down on foes despite the president’s claims that troops will steer clear of politics. “I don’t believe the Moise regime really wants to reinstate the army, but instead set up a political militia to persecute political opponents,” said Andre Michel, spokesman for an opposition coalition that has called for Moise’s resignation.